How can these new materials help us? Massey University researchers have received $1.5 million to explore the potential of a material that could perform tasks like capturing carbon dioxide directly from air to help mitigate global warming. The funding comes from the Ministry for Business, Innovation and Enterprise’s Catalyst Strategic Fund over three years for research into the materials known as metal-organic frameworks. Professor Shane Telfer, of the Institute of Fundamental Sciences, will lead the research and says the new materials could provide solutions for our most pressing problems. “Metal-organic frameworks are a new class of materials which are transforming the scientific landscape because of their many unique properties that surpass conventional materials, including ultrahigh surface areas and pore spaces that can be tuned to perform some amazing things. 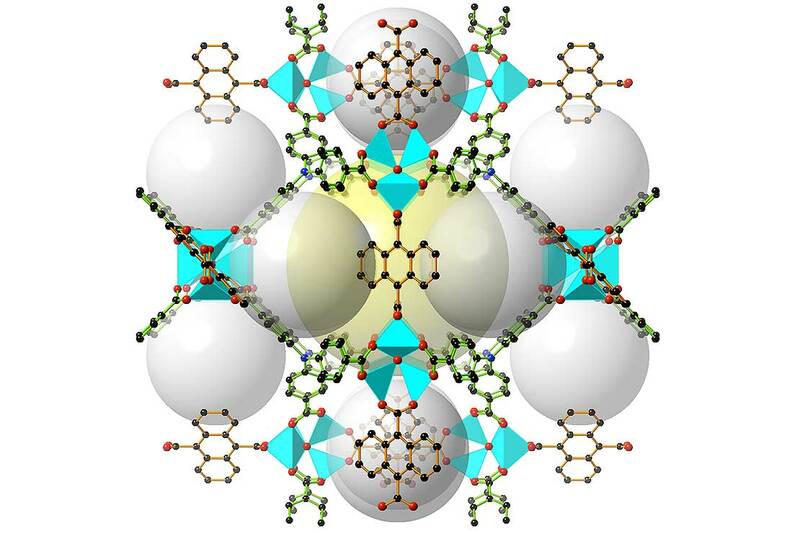 The New Zealand based team is primarily focussed on fundamental aspects of metal-organic framework chemistry, such as framework design, synthesis and characterisation. Discoveries made at Massey University have contributed strongly to the global surge of interest in metal-organic frameworks. These include new ways of making catalysts, frameworks that are built up using a set of different building blocks, and those that display unique and interesting structural and functional properties. Massey researchers, together with collaborators from around New Zealand, will work with Australia’s premier scientific research organisation, Commonwealth Scientific and Industrial Research Organisation (CSIRO). “Catalyst funding enables us to translate fundamental discoveries made in New Zealand into disruptive technologies by leveraging the research infrastructure and professional capabilities available at CSIRO.